Yu-Gi-Oh! Power of Chaos a card battling video game developed and published by Konami. The game was release for PC and it is base to the popular Yu-Gi-Oh! card game. The Player controles an unseen character as he/she dules against Yami Yugi useing cards from the Yu-Gi-Oh! trading card game. Yu-Gi-Oh! 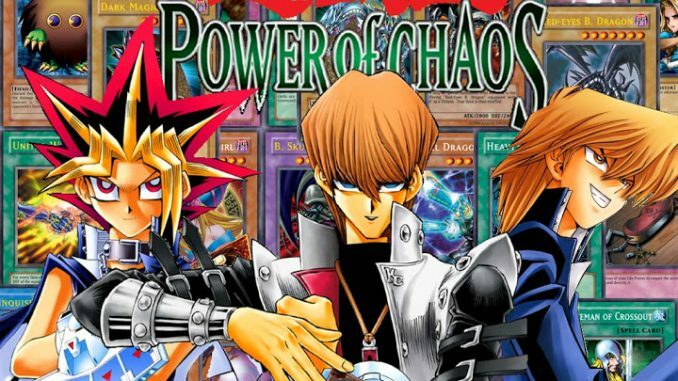 Power of Chaos has three version and they are Yu-Gi-Oh! Power of Chaos: Yugi the Destiny released on January 12, 2004, Yu-Gi-Oh! Power of Chaos: Kaiba the Revenge released on April 7, 2004 and Yu-Gi-Oh! Power of Chaos: Joey the Passion released on July 2, 2004.
the downlowd link is off pleas it a long time i didnt play this game and i think it the best version so can u provide a linke that work to downlowd it tnx.